Sterling silver, Cubic Zirconia, and Blue Opal. This wonderful ring will be sure to make the perfect addition to your jewelry collection! 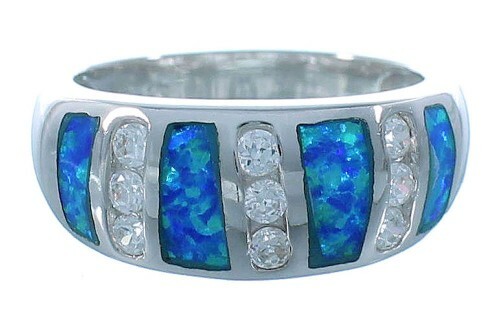 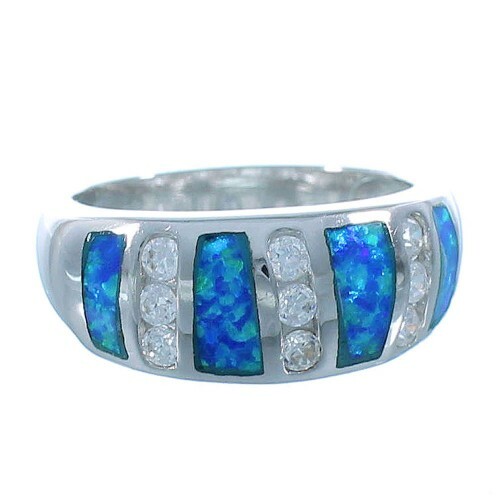 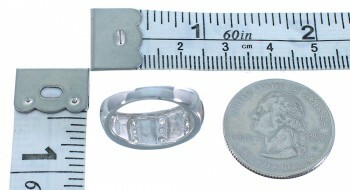 The ring is made out of genuine sterling silver, along with man made Blue Opal inlay and Cubic Zirconia stones. 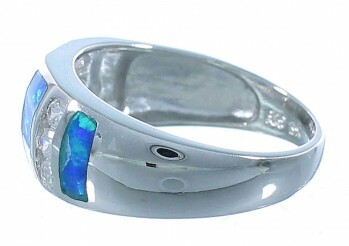 The inlay is delicately set, while silver lines highlight in between for a gorgeous finish. 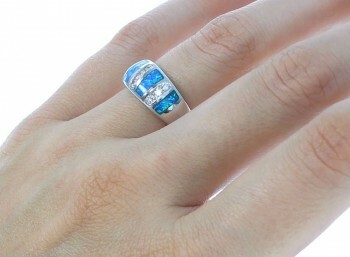 A total of NINE CZ's can be seen accenting the ring and adding style for a beautiful finish. The ring is stamped .925 (sterling silver).